Welcome to the Hop Showcasing Brutus Monroe and Karen Burniston Products! You should have arrived here from Fran Sabad's Blog. And the card opened up! These Brutus Monroe Bears are so much fun and worked perfectly on my Twist Panel Pop Up! 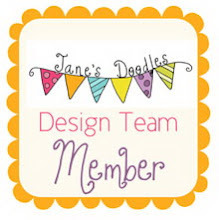 All supplies are linked below and don't forget to comment on each DT members blog a long the hop. I will choose the winner on the 24th at 8:00 AM MST! Next on the Hop is Summer Hills Painter! Thank You for Hopping with us today and Good Luck! LOVE the Twist Panel Pop Up Die.... on my wish list for sure! Delightful card! Such a sweet card. I adore how you've coloured the bears. So cute anyone of any age would like getting this card, thanks for sharing. 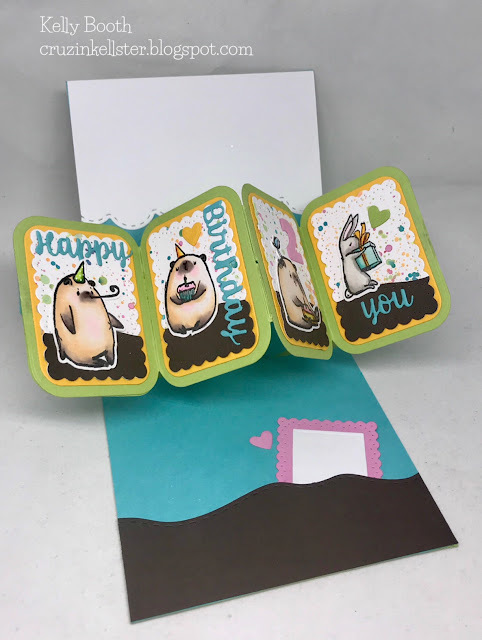 what seen adorable card! And i love this pop up. Awwww.... that's so lovely Kelly!! Your colouring is beautiful! You are right, those bears are adorable on this pop up. Really adorable card! Love this pop up too! Those bears are adorable! Love this card! The twist panel is a great way to show case your amazing colored images! this is just wonderful and the bears are too sweet. 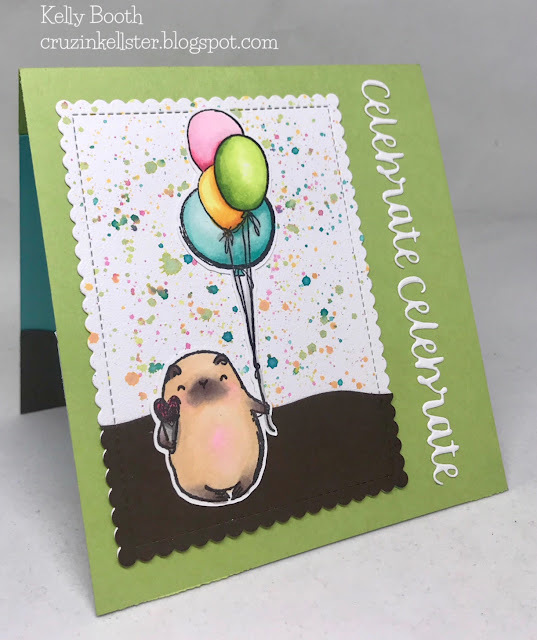 Amazing work on this delightful birthday design!! What a fabulously fun pop-up! So sweet Kelly! Your coloring is amazing ! 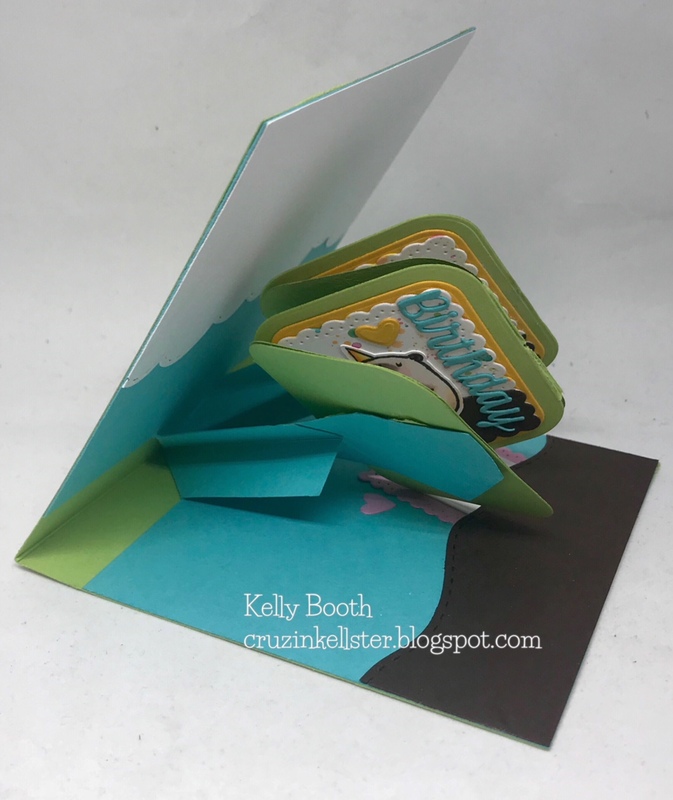 Kelly, I just love this twist pop up card! It would be so much fun to decorate with all those smaller images I have collected. Love those bears from BM as well. Thanks for sharing! This is really cute - love the Bears! Love to make Pop and twist cards, always good results and great comments! Just finished a graduation design. Love the interaction of this card. The littles bears and the bunny are perfect for this card. So cute. Sharing this cute birthday card!!! These fancy cards are just amazing. 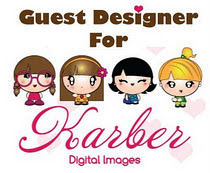 I am having such fun visiting the blogs of all you talented artists. Love this card. The colors remind me of Winnie the Pooh. Wonderful use of the Brutus Monroe stamp set. I am inspired. Thanks So Much. Adorable bears! So many possibilities with the Twist Panel Pop-Up Die! TFS! Those bears that pop out are so creative! I love that die, and the bears are perfect. I love the way you colored them too. Love this die and your card is just fantastic. I struggle with coloring but your coloring is so cute. Thanks for sharing! Oh my gosh- that twist and pop out die is SO neat! I think I need it for thank you cards for big events to use little photos on it! Kelly, these cute bears are the stars of the show and the twist panel pop-up was the perfect platform to showcase them! Love your ink splatters that look like confetti for a very festive backdrop! I can "bearly" contain myself - so adorable! Wonderful CUTE card. The twist pop-up works perfectly with your bears. Have wanted this twist popup die for a while now! Cute card. Adorable, those stamps really match up with that die set. The stamp set is so cool. The twist panel pop up is one of my favorites. Such a fun card. Thank you for sharing. Very cute! I have this pop-up so I guess I'd better get the stamp! I love twist & pop cards & yours is really cute. I love this new die; looks so fun to use! Your card is beautiful. Love those yummy splatters on the front. And such cute images. Love this twist and pop die. I'm wishing' and hopin'! So nice the bears threw a party for the bunny. Why do animal parties always look so darned fun? This die is so versatile. Love it! So cool how this opens up. Great colors too. cute, cute, cute ... love the colors! The little bears are so cute! And I love this pop-up mechanism! So much real estate for stamped images! Super cute. Love the colours and your little characters. 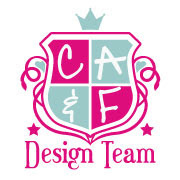 Your card is darling and your coloring is amazing!!! Thanks for the ideas!! Absolutely adorable card. Love the use of the pop up. So much fun making them! Beautiful! Wow wow wow !!! This is sooo cool !! I looove it ! Great card! Thanks for the inspiration! Such a super cute card! The bears on the twist panels are absolutely adorable! Thank you for the chance to win this die - it’s already on my wish list! This is so cute! Love those bears. Such a fun design. Thanks for the chance to win. This is so cute. I've not seen this idea before. Thanks for the chance to win. Those bears are too cute! I just got this die and can't wait to play with it!! Really cute card. That die is so neat. Truly a must have!